Hiya guys! 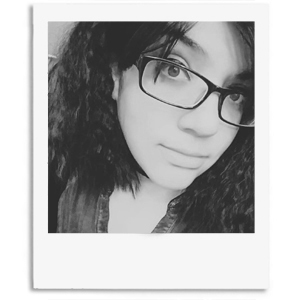 I apologize for not updating yesterday, I think I experienced a bit of blogger burnout. Between work, feeling really sick, and having too much to do in a limited time I nearly hulked out. Simply put, I had to walk away from it all for a day and get some rest. That was a lot harder than it sounds, especially with so many pretty polishes waiting to be swatched. 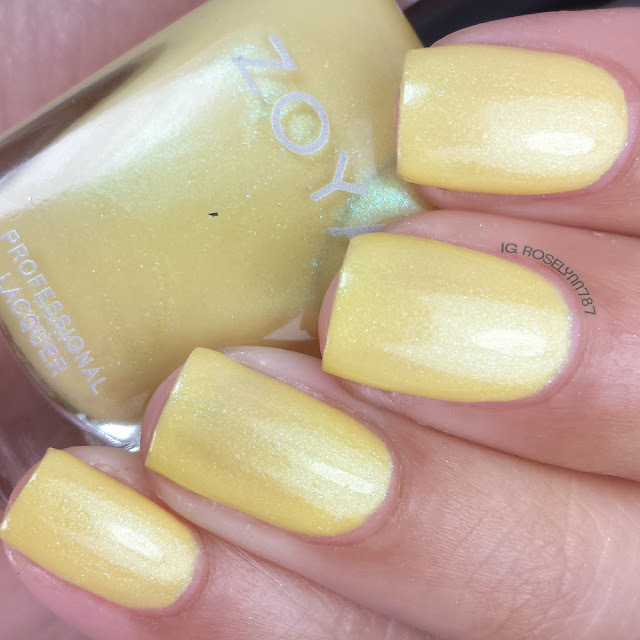 Like a lot of you, I've been really pumped ever since I saw the promotional photos for the Delight 2015 Spring Collection by Zoya. 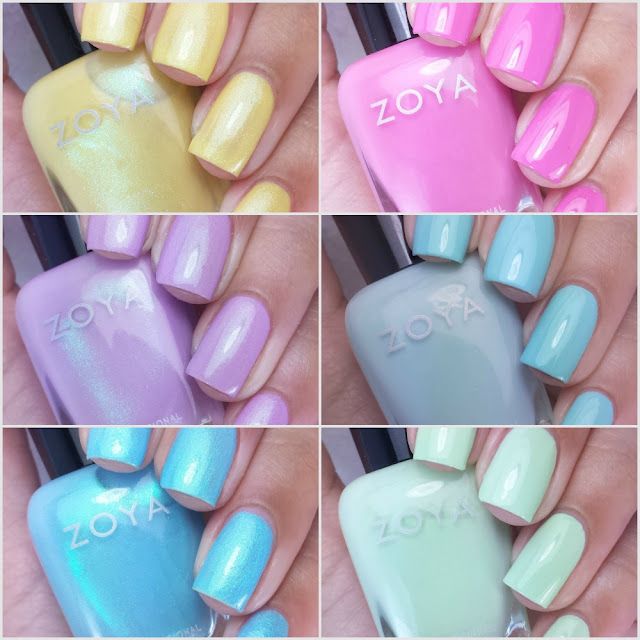 Spring has always been one of my favorite seasons for new collections and Zoya is leading the way strong with three pastel cremes and three shimmers. Eden is described as a classic spring flower pink in a glossy cream finish. Of course, what's a Spring collection without a little bit of pink. While I'm not a pink type of girl, unless the occasion calls for it, I'm a fan of the cutesy color. The formula is a little on the thin side, but still easy to work with and apply. 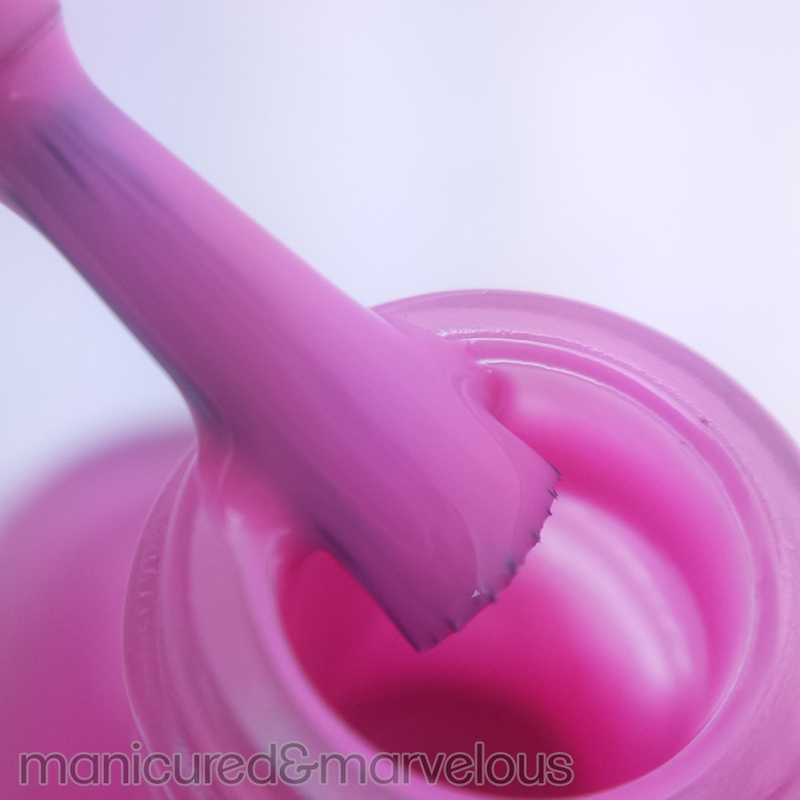 For these swatches, I used two thin coats and sealed it off with a glossy top coat. 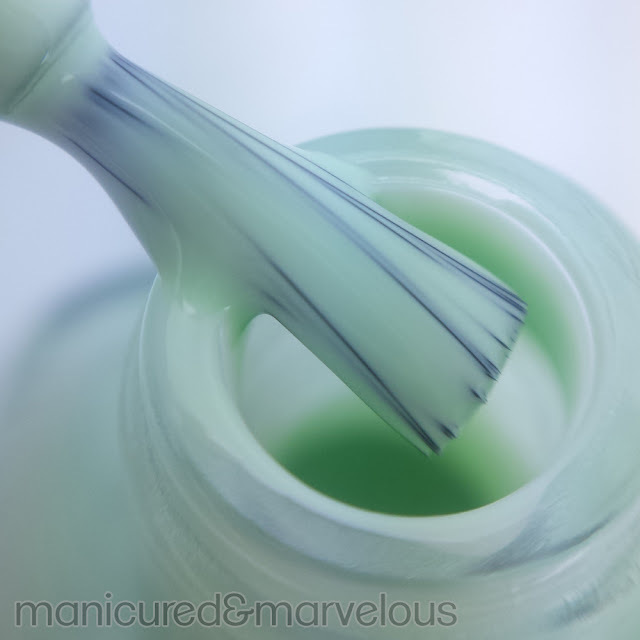 Tiana is described as a pistachio gelato green in a glossy cream finish. I can't help but think of Princess Tiana from the Disney movie Princess and The Frog. Love, love, love how creamy and smooth this looks. Almost a one coater. The formula was really good, not too thin, and quite opaque. 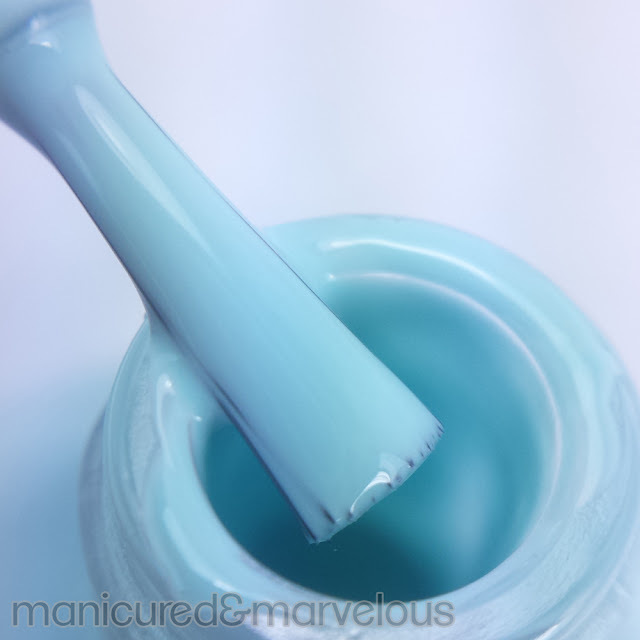 I applied this shade using two thin coats and sealed with a glossy top coat. Lillian is described as a faded aquamarine with a glossy cream finish. My favorite amongst the cremes, I've always loved a pastel blue. 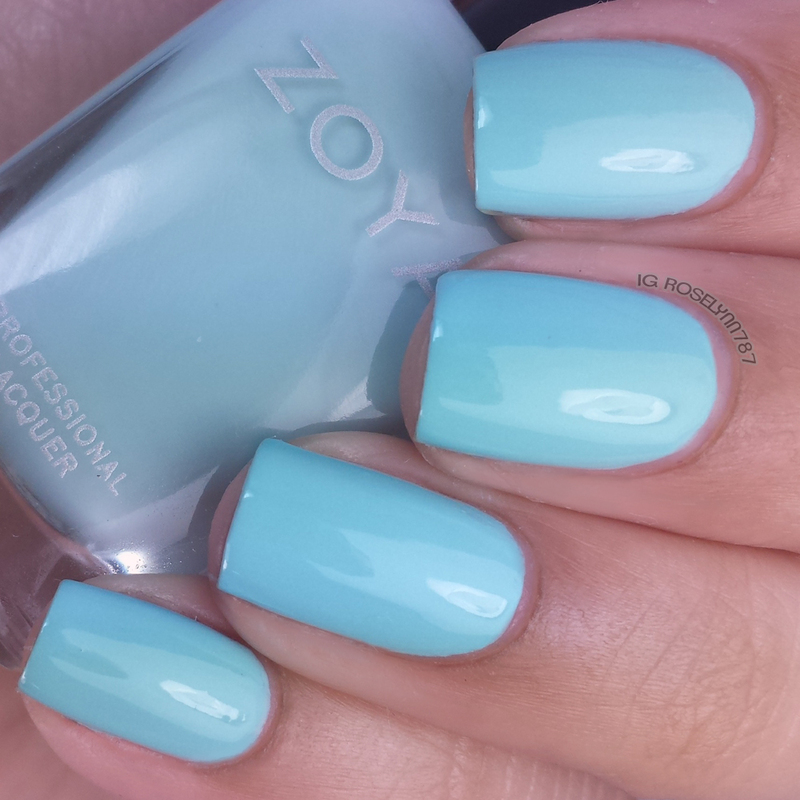 In fact, up till this point my favorite has always been Blu from the Spring collection a couple years ago. Lillian ends up being a much more vibrant pastel in comparison, if that makes sense. The first coat is a little streaky, but it ends up evening out perfectly with the second coat. Two coats and sealed with a glossy top coat. Daisy is described as a refreshing lemon merengue yellow metallic with an energizing turquoise metallic flash. You guys I think we need to all pull out a calendar together and mark today's date. For probably the first time ever... I actually like a yellow polish. I'm usually not much of a fan and it ends up clashing against my skin tone, but not this time. Formula was pretty good, but did streak a bit in the first two coats. I decided to apply three thin coats to even out the streaking and it worked out beautifully. Leslie is described as a soft spring lavender metallic with an energizing turquoise flash. 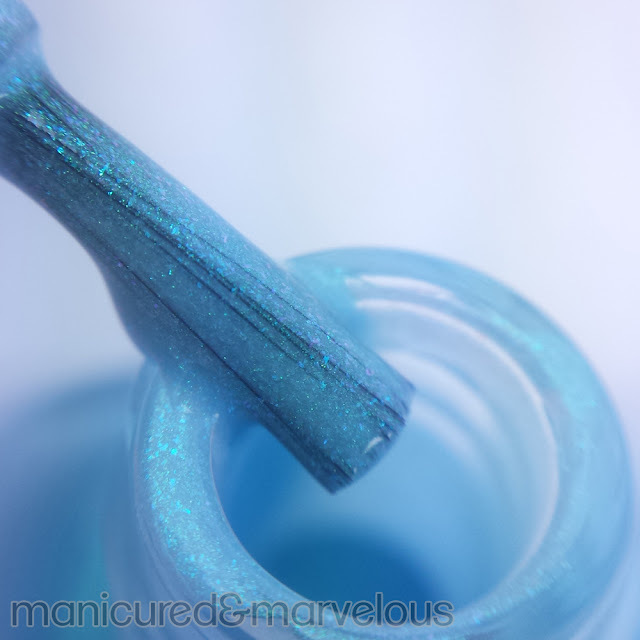 If it wasn't for the turquoise shimmer this would be an otherwise standard shade in my book. Out of all the 'metallic' flash finishes, this one has the best formula. I didn't experience any streaking and ended up applying this color with only two thin layers. Rayne is described as a dewy, spring blue metallic with an energizing turquoise metallic flash. Must have alert! Without a doubt, this is hands down my favorite shade in the entire collection. I knew from the moment I saw it that it would be true love. In fact, I love it so much that I ended up purchasing an extra to giveaway in a few weeks! Great formula and consistency, applied very easily in just three thin coats. You could probably get away with two, but I added the third to give it a better finish. Overall I think this a great collection to get us pumped for brighter weather, especially for us ladies stuck in the snow. Soft and striking shades all around, I can't pinpoint any that fall flat or miss the mark. First the Satins and now this collection... Zoya is not going easy on us polish addicts and our wallets! As I mentioned before, The Spring Delight 2015 Collection from Zoya is available for purchase at zoya.com. Each one retails for $9.00 and the entire set of six can be purchased for $54. Tell me guys, which one is your favorite? Are you planning on getting any of the colors? Beautiful! Your swatches are amazing. I think Tiana is my favorite! Your swatches are gorgeous! I love what Zoya did with the blue/green shimmer. It's so pretty! I couldn't help but think of Easter when I saw these colors - in a good way! I really like the pink and the pistachio green. Wow, those are some great colors! They remind me of Easter! I think Eden is my favorite! These colors are absolutely beautiful! I had to pin them! Your swatches are stunning. Go girl!! Waiting for Daisy & Rayne as we speak!! FanTASTIC swatches! <3 I've got to finish these up soon! Lillian is surprisingly brighter on the nail than in the bottle! And Rayne, obviously, is stunning. I enjoyed your macros and bottle shots! Want them ALL but especially Tiana! Great swatches! Gorgeous swatches! I'll just add these to my 'must have' list! Gorgeous Swatches! My Fav. would be Daisy and Eden! Lilian is so pretty! I think Daisy looks really good on you! Great swatches and review like always. Can't wait to swatch these! The more I see them, the more I love them!